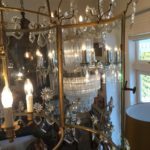 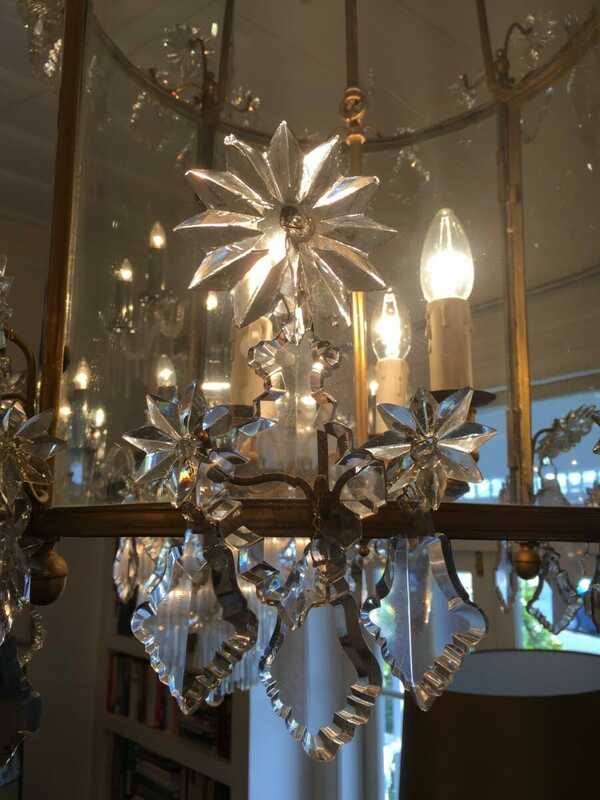 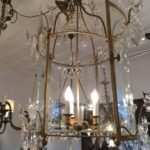 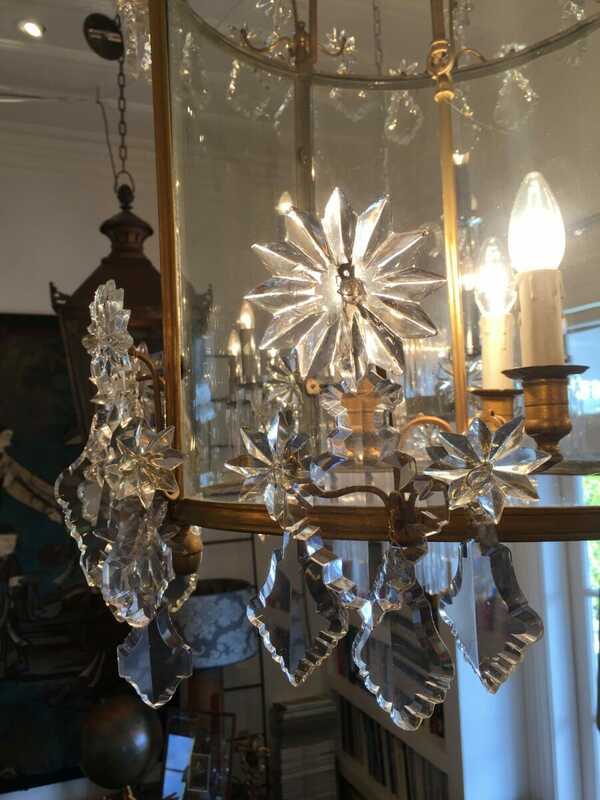 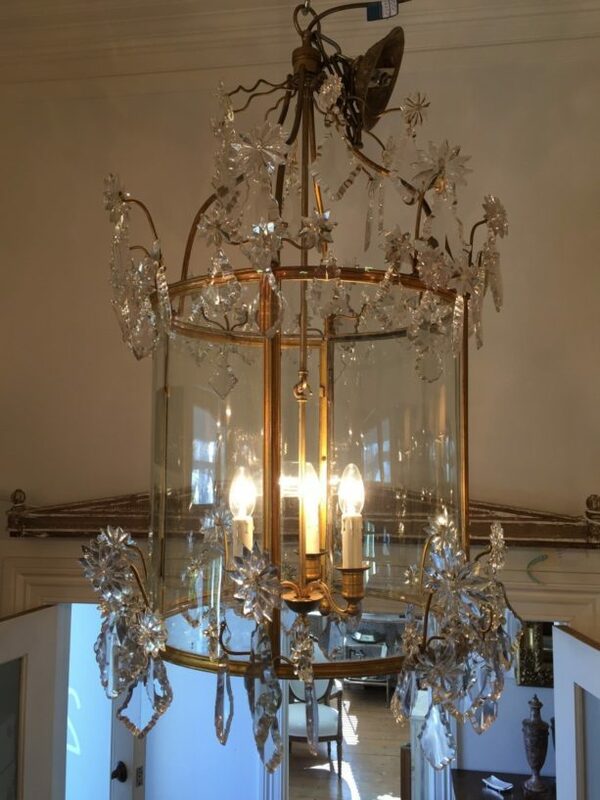 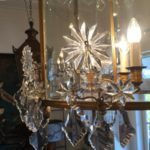 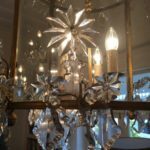 An extremely rare and large curved glass and gilded bronze French lantern, which is adorned with beautiful crystal chandelier clusters. 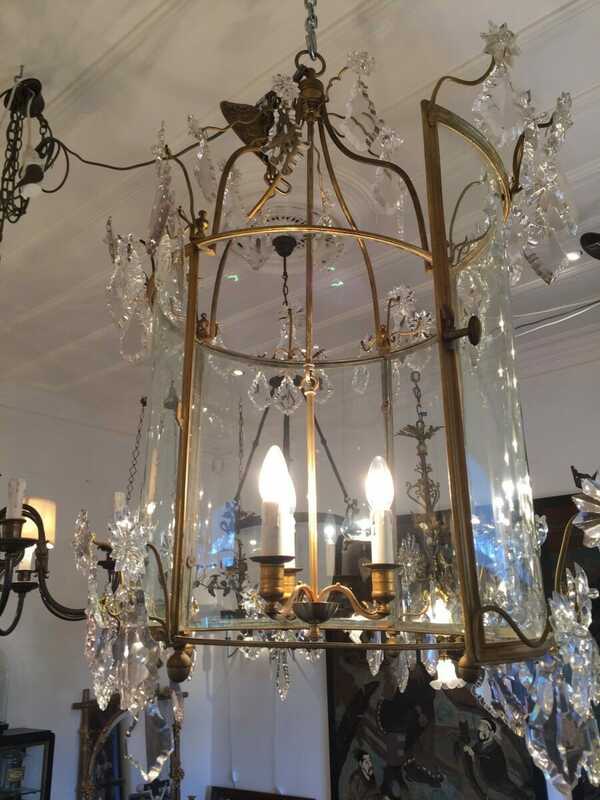 What makes this lantern unique is the curved nature of the glass frame as opposed to traditional flat panels. 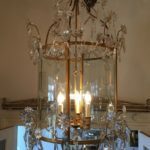 This glazing technique is very specialised and costly to replicate, which adds significant authentic value to the lantern. 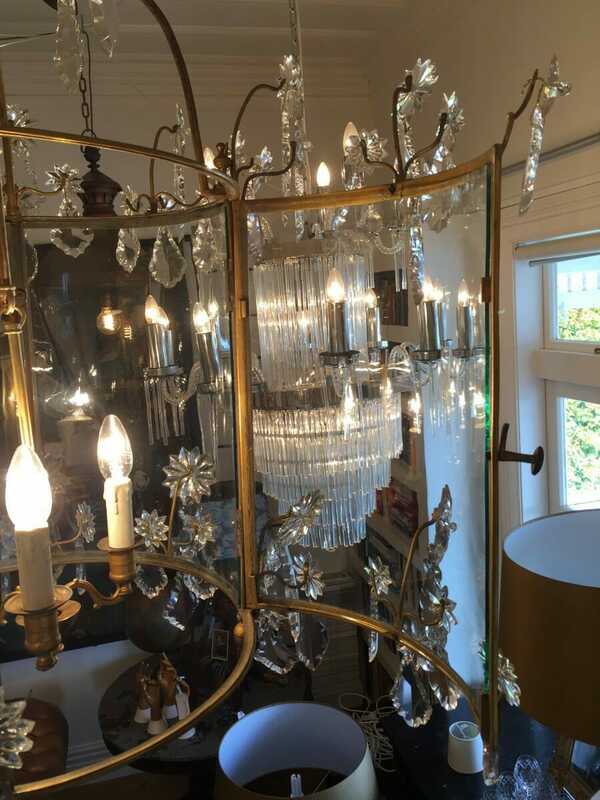 Ideal for a double height entry space or foyer.